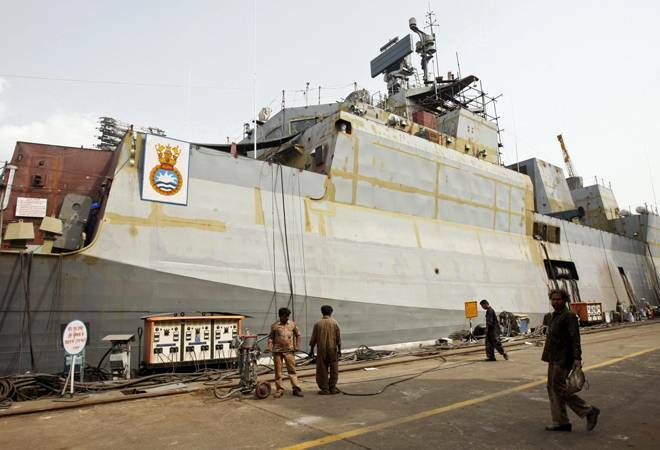 Garden Reach is a ship building company under the administrative control of the Defence Ministry. Shares of Garden Reach Shipbuilders & Engineers made a weak listing on the BSE and NSE today. The stock listed at 102.50 on the NSE, a loss of 13.13 per cent from the issue price of Rs 118 per share. On the BSE, the stock listed at 104 level, leading to a loss of 12% compared to its issue price. In terms of equity volume, 3.54 lakh shares of the company were traded on BSE and over 18 lakh shares changed hands at NSE during the morning trade. The stock managed to close 1.06% higher at 105.10 compared to its opening price of 104 on the BSE. However, it fell 10.93% or 12.90 points to 105.10 level from its issue price of 118. On the NSE, the stock closed 0.15% higher at 102.65 compared to its listing price of 102.50. The firm conducted its Rs 345-crore initial public offer (IPO) from September 24 to October 1 as the issue closure date was extended. Also, the price band for the offer was revised from Rs 115-118 per share to Rs 114-118 per share. IDBI Capital Markets & Securities and YES Securities were the book running lead managers to the offer. It has also built India's first indigenous warship-the INS Ajay-in 1961, as per the company's website.